Illuminate commercial signs in style with the chic 7" Angle Shade on an arching gooseneck arm. This all-aluminum sign light is rated for outdoor use and has a powder coated finish for rust resistant displays. Standard lamping is incandescent for a 100W max bulb and 120V service. Call for upgraded compact fluorescent, LED or HID gooseneck lighting. Exterior gooseneck lights are a made to order product and come in a choice of 25 powder coated finishes (black, white, dark green and galvanized steel available at standard pricing). All parts are painted to match, with the exception of the inside of Angle Shades which is left white. Outdoor sign lights come with a 7" Angle Shade, gooseneck arm and back plate for wall mounts. Incandescent goosenecks install over a standard 4"D round or octagonal J-box. Ballast options may vary for upgraded lamping. 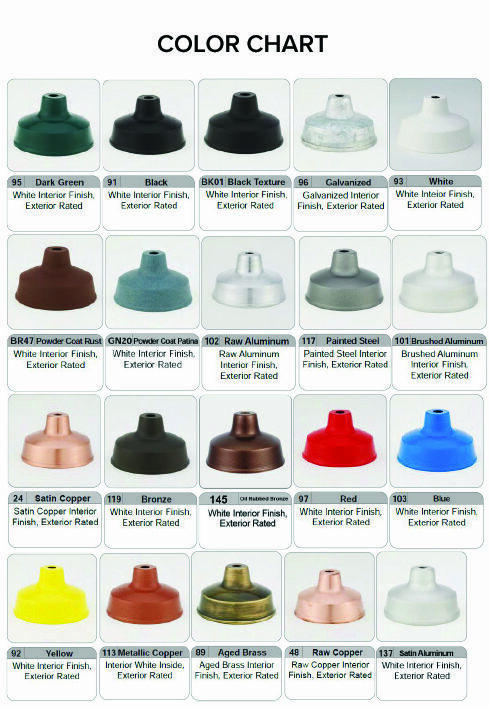 Please call for custom colors, sizes, and accessories, including swivel coupling for adjustable sign lighting.